Are you still drinking apple cider vinegar? ​​Is there any benefits of drinking apple cider vinegar before bedtime? Recently, I decided to conduct a little poll amongst friends. Several years ago, they were all swearing by daily ACV shots for all types of health benefits. However, when I asked around last week, they all admitted they quit a year or two ago. Did someone determine that ACV isn’t really all it’s cracked up to be? Were we temporarily under the spell of a big ACV marketing push? Feeling nostalgic, I began taking my ACV shots again. Only this time, I began taking it before bed. Previously, I would opt for morning shots. But I thought I could reinvigorate my passion for ACV by switching things up. Also, I needed to find out - what are the benefits of drinking apple cider vinegar before bedtime? Looking back, we have spent quite a bit of time discussing apple cider vinegar. From lustrous hair, to oral care, to detox, there are plenty of uses for ACV. Still, because there’s so much information available on ACV, I think it’s time to start over and squash some rumors. 1. It counts as a serving of fruit. Over the years, I’ve heard countless reasons as to why some people never get enough fruits and vegetables. Among these, being too busy and traveling a lot are huge. However, some sources say you can take a shot of ACV to compensate for a diet that’s otherwise lacking. For instance, one of the best attributes of a regular, whole apple is the fiber, which ACV doesn’t provide. This is a key reason why we say that having an apple a day keeps the doctor away! Additionally, ACV doesn’t have the same vitamin C, and has a lower mineral content than an actual apple. 2. It is a cancer cure. Frankly, the clickbait headlines that claim ACV is a cure for cancer are pretty enraging. Currently, there is no cure for cancer. On the other hand, it’s easy to see why people would think ACV could help. Some studies have shown that acetic acid, the most powerfully beneficial ingredient in ACV, can kill cancer cells. However, there is no treatment available in which we pour ACV directly on cancer. 3. Since it is natural, it is completely safe. The idea of using common, natural ingredients leads many into thinking there are no risks associated with use. The truth is, you can experience side effects from drinking apple cider vinegar. Furthermore, it’s not a good choice for absolutely everyone. 4. The kind you buy doesn’t matter. Have you ever put ACV on your grocery list and sent your spouse to the store? There’s a chance you didn’t get the right kind. The average store shelf offers plenty of distilled ACV that is a clear amber color. This is not the ACV we take for health benefits. ​Raw apple cider vinegar with the mother - check price, is an absolute necessity for what we’re discussing here today. The clearer kind has gone through filtering and pasteurization. Therefore, it’s missing the essential acetic acid bacteria. 5. The benefits are all bunk. Ultimately, many people I know quit ACV because they didn’t feel like they were getting huge, incredible benefits. In fact, they began to think it was all just hype. Coming up... we’ll go further into what ACV can actually do. But understand that in order to see benefits, you must use it regularly. Moreover, it may take months before they become noticeable. And anyway, some benefits aren’t things you’d feel, but are good for you long-term. So, you know how to drink apple cider vinegar in the morning. But have you ever tried it before bed? Here are some of the amazing things you may notice when you give it a shot. When the weather starts to turn, I love all things cider. What I don’t love is the congestion that comes with seasonal allergies and lower temperatures. By drinking ACV in the evening, we might wake up with a less stuffy nose. Do you have to keep an eye on your blood sugar? Whether you’re diabetic or not, a big pasta dinner can send your sugar way up. This study found that type 2 diabetics managing their blood sugar could get extra help from vinegar at bedtime. Having a salad with that carb-heavy meal? Another study finds that including vinegar in a salad dressing had a favorable impact on glycemic responses. Maybe you’re having trouble sleeping, thanks to restless leg syndrome or cramping. Some get around this by taking their ACV at bedtime. ACV contains minerals like potassium and magnesium which can help relax muscles. It’s important to get these minerals from other dietary sources as well. Still, a dose of apple cider vinegar before bed can help relieve leg cramps, as well as menstrual cramps, overnight. It’s cheaper, easier, and faster acting than a supplement! How many articles have you seen lauding the huge weight loss benefits of ACV? But consider this: those blood sugar benefits mean you’re less likely to store fat on your body. Additionally, ACV might increase your feelings of satisfaction and lead you to eat a few hundred calories less. When we do this near bedtime, that means it might be easier to avoid that late night snack! Indigestion is another problem that can keep us up at night. Apple cider vinegar is a well-known home remedy for acid reflux. Reflux is caused by a low amount of stomach acid. ACV adds acidity to the stomach. Also, it might be effective in reducing bloating and gas. Your mileage may vary, but anecdotally, the potential is there. 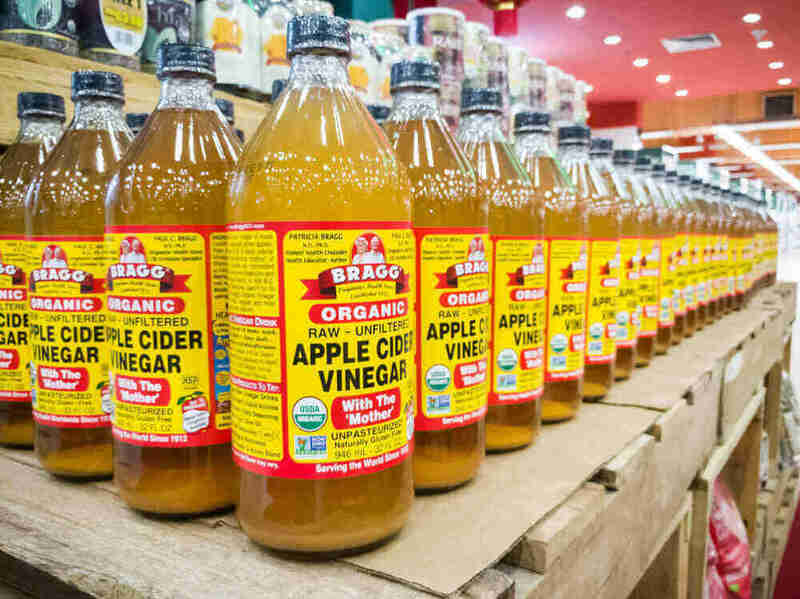 ACV can slow digestion, but it also contains bacteria that can improve gut health and reduce inflammation. In addition to acetic acid, apple cider vinegar contains malic acid. Malic acid is what gives ACV its antiviral and antimicrobial properties. This contributes to the same mucus-busting action that helps us clear congestion. Yet it is also known to give the immune system a little lift. The effect on immunities may be marginal, but in combination with the gut-healthy bacteria, it’s well worth using regularly. The biggest reason I had reservations about ACV at bedtime was that usually, I took it for energy. On a regular basis, I would down a shot about 30 minutes before an afternoon workout. Therefore, it’s not a good option when you want to conk out, right? Well, as it turns out, it can be good for sleep as well. The trick is to change the temperature. Heat up one cup of water, drop a tablespoon or two of ACV in, and stir in a little honey. This tonic, along with a tablespoon of almond butter, is a really underrated recipe for rest. When it comes to ACV and a lower risk of heart disease, most of our evidence comes from animal studies. However, if you have a family history of heart disease, make ACV one way you potentially reduce your risk. ​Apple cider vinegar has long been thought to help ward off high blood pressure and cholesterol. A double-blind Japanese study did find that vinegar could lower triglyceride levels. So, it’s good in the morning, and works just as well at night. Apple cider vinegar seems to be an anytime remedy with a range of great benefits. However, there are several things you should know before diving in. Here are the biggest ACV mistakes we should take care to avoid. As an acid, apple cider vinegar can burn you. Applying it to skin or swallowing it undiluted can be very irritating. Some people do take straight shots, but doing so long-term could damage your stomach lining. Always include two parts of water, at least. 2. Drinking a double dose. If you’re about to start drinking apple cider vinegar for the first time, start small. If you drink more than a few tablespoons, you could experience indigestion and a burning sensation. Generally, we recommend that you start with one tablespoon, slowly working your way up to two. 3. Using it when you have gastroparesis. Diabetics in particular may be anxious to try ACV, but some diabetics also suffer from gastroparesis. With gastroparesis, the digestion process moves more slowly, with delays in how promptly the stomach empties itself. ACV can further slow the emptying. Therefore, if you have gastroparesis, there’s a chance ACV can make the symptoms worse. 4. Taking it with certain medications. Finally, it’s vital that you speak to a doctor before using ACV at the same time as certain medications. Diuretics, certain blood pressure meds, and insulin may cause an interaction. All bear an associated with a sudden decrease in potassium. The symptoms of low potassium include an irregular heartbeat and weakness. ​Personally, I won’t stop buying ACV any time soon. Even if you’d rather not take shots of the stuff, it has a lot of incredible uses. ​​​Marinating veggies. ​​Apple cider vinegar is also the secret to a great stir fry. It all starts with carrots, broccoli, cauliflower, cabbage, and onions. Soak them for a few hours in an ACV-infused marinade with a little EVOO - check price, and garlic. ​​Washing veggies. ​Before you chop and marinate you can help remove dirt and pesticides with ACV. Fill your sink with water, and drop in a cup of ACV. Let your produce soak in this for a few minutes before scrubbing and rinsing. ​​​Soothe sunburn. Itchy, inflamed skin can make wearing clothes difficult, let alone getting some sleep. Draw yourself a cool bath, and pour in a cup of apple cider vinegar. Not only does it relieve the pain, but you may peel less. ​Deodorant. Need to freshen up fast, but have no time for a shower? Swipe your armpits with diluted ACV before reapplying your regular deodorant. The antibacterial properties help kill off odor-causing bacteria fast. Before we wrap things up, we need to talk teeth. Because apple cider vinegar is acidic, it can damage your tooth enamel. This is really important when we discuss drinking it before bed. Try to drink your diluted apple cider vinegar 30 to 60 minutes before calling it a night. 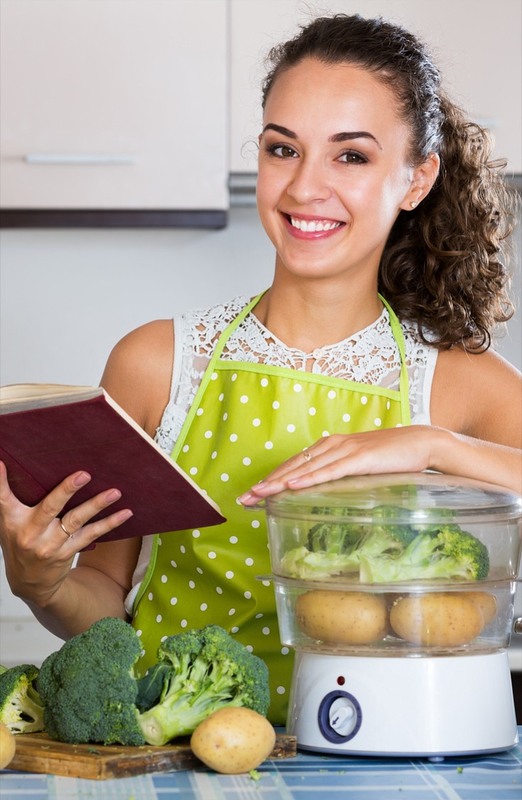 Drink the vinegar, rinse your mouth with water, and wait another 15-20 minutes. Then, you can rinse well one more time before brushing teeth. If you brush your teeth too soon after drinking the vinegar, you run the risk of brushing away your enamel. And you definitely don’t want to drink it after brushing, letting the acid sit on teeth overnight. Apple cider vinegar before going to sleep? I was convinced that ACV was synonymous with energy, but it can do wonders at night, too. I definitely think you should try it for a few nights and see if you can feel the difference. Or, just continue taking it when you wake up. As long as you use it correctly, heeding the warnings shared here today, you can’t go wrong. Which of the benefits of drinking apple cider vinegar before bedtimes was most surprising to you? Are there any ACV uses you’d like to share with readers? Has ACV ever helped you get to sleep? Let me know below!